Late last week, UFC president Dana White shared his thoughts on the controversy surrounding welterweight champion Georges St-Pierre’s controversial win over BJ Penn at UFC 94. White stated that he thought GSP’s cornmen should be punished for greasing up their fighter. 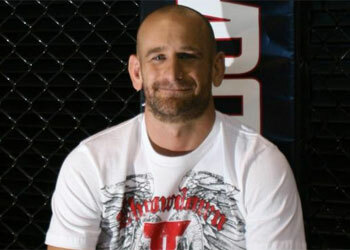 St-Pierre’s head trainer, Greg Jackson, claims that the truth will exonerate them. Although Jackson was the lead voice in St-Pierre’s corner, it is Muay Thai coach Phil Nurse that is being accused of applying Vaseline to the French Canadian’s body. White, however, feels that the act was blatant and intentional on Nurse’s part, however he believes that the company’s golden boy was not aware that Nurse was applying the greasing agent to his body. Penn’s camp is in the process of filing a formal complaint to the Nevada State Athletic Commission. If found guilty, St-Pierre’s cornermen, namely Nurse, may have his license revoked or suspended.